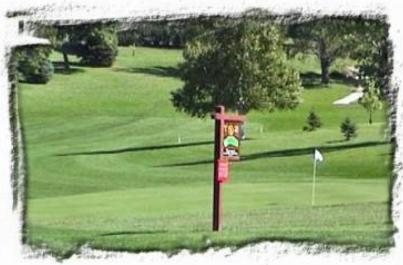 Breda Golf Club is a Public, 9 hole golf course located in Breda, Iowa. Breda Golf Club first opened for play in 1994.The course was designed by Marty Johnson. The course sits on rolling terrain and has several man-made moguls, so expect many uneven lies. The fairways are lined with trees and vary in width from wide to narrow. The large greens are average speed. A pond comes into play on one hole. Par for the course is 35. From the back tees, the course plays to 3,045 yards. From the forward tees, the course measures 2,430 yards. The longest hole on the course is # 4, a par-5 that plays to 501 yards. The shortest hole on the course is # 2, a par-3 that plays to 178 yards from the back tees.